Innovative post and bar complement the new frame well. 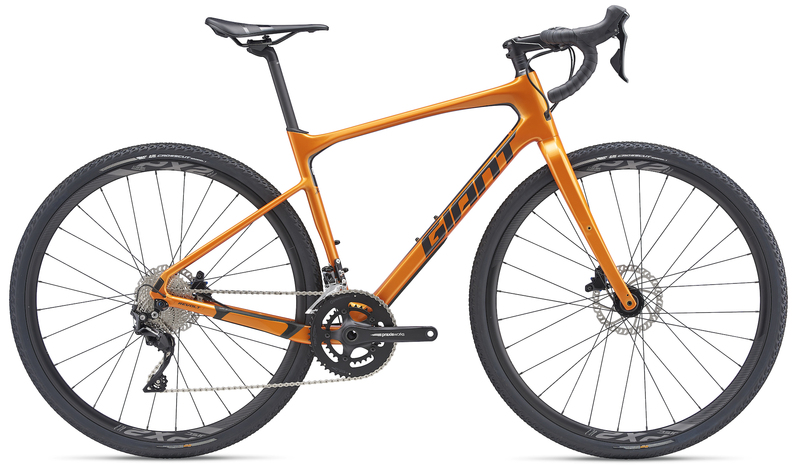 Giant introduces a new composite all-rounder, specifically designed for adventurous terrain exploration. 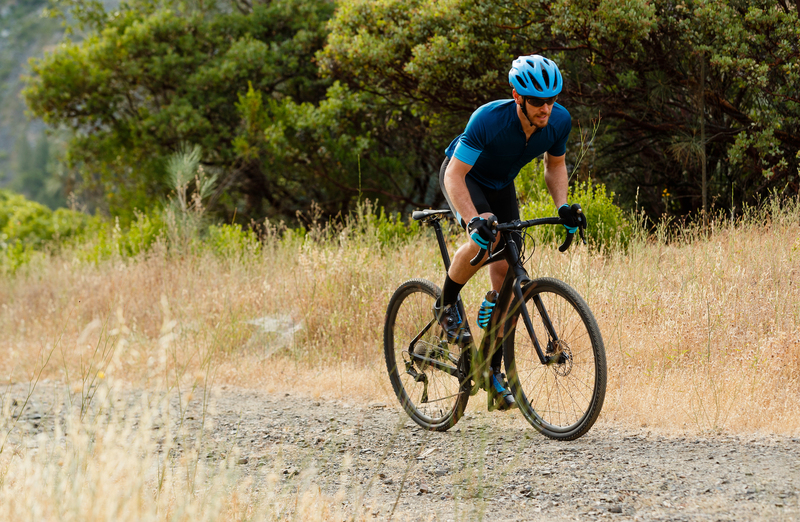 The new Revolt Advanced looks to open up a world of possibilities for riders looking to push their limits of gravel racing and adventure. In addition to an all-new, purpose-built frameset, the Revolt Advanced introduces several new innovations from Giant including new D-Fuse cockpit components. The D-Fuse seat post and new D-Fuse handlebar now work together as a system to smooth out any rugged terrain and offer performance on dirt and gravel roads. 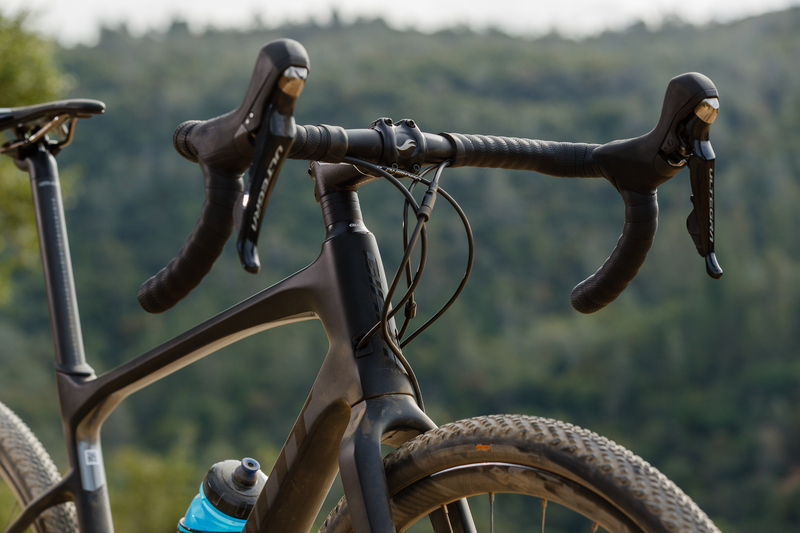 The Revolt Advanced features the new Contact XR D-Fuse handlebar, which uses D-shaped tubing to improve compliance while also making it feel stiffer for sprinting and climbing efforts. Jake Orness photo. 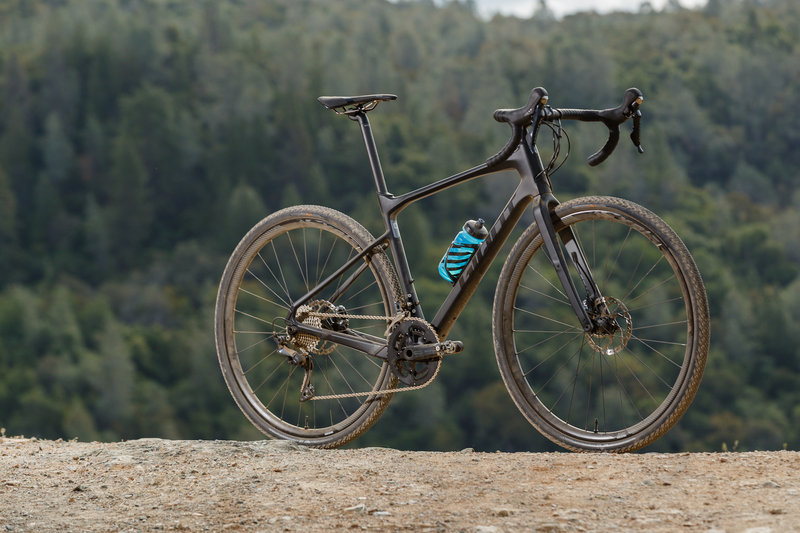 Giant engineers and product developers worked with athletes from the Giant Factory Off-Road Team over the past year to develop and test prototype versions of the new bike. 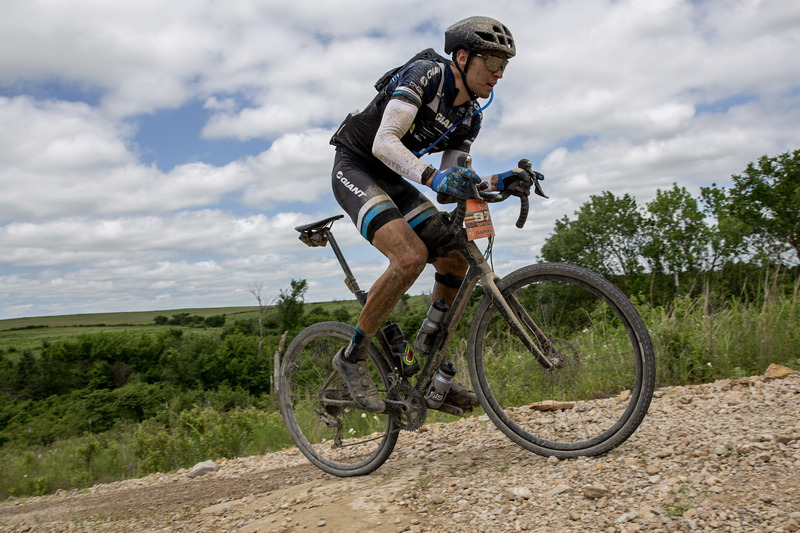 Ryan Steers, a regional Giant pro racer in the U.S. who specializes in gravel racing, rode a prototype earlier this summer at the Dirty Kanza 200, one of the world’s premier gravel races. The D-Fuse Seatpost, originally introduced on Giant cyclocross bikes, has become a rider favorite for absorbing shocks and vibrations on rough roads and bumpy dirt trails. Jake Orness photo. The frame geometry on the new Revolt is designed for long-distance comfort and efficiency on variable terrain. It has a slightly taller stack height compared to Giant’s TCX cyclocross bikes, and a reach that’s said to help performance on varied terrain. The fork geometry is also tuned for this type of riding, with a 50mm rake and 74mm trail, which produces a front end Giant feels is responsive and nimble on the road but is also relaxed enough to offer confidence and control on rugged terrain. In addition, a slightly lower bottom bracket looks to manage the bike’s stability and efficiency in endurance riding. The rear triangle is designed with flattened seat stays and a lower seat stay junction to help absorb road shocks and vibrations. 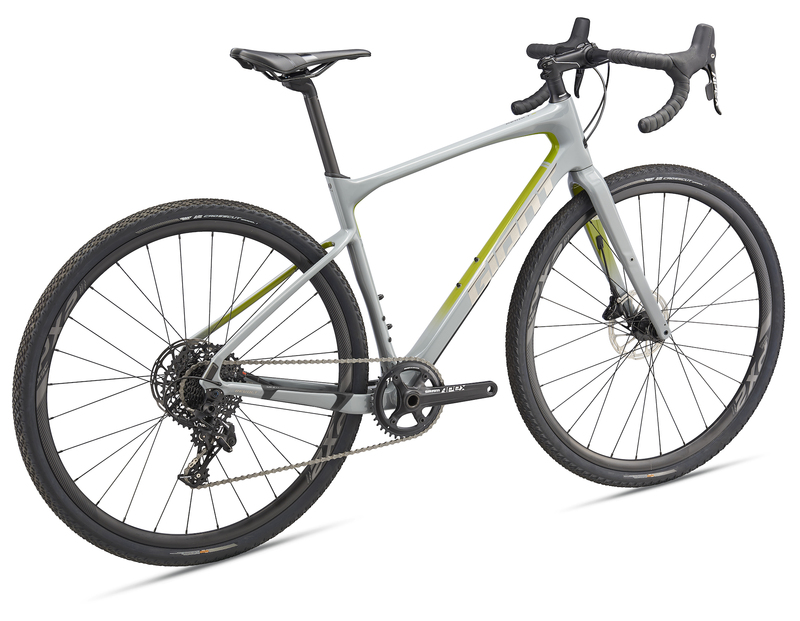 Ryan Steers, a rider with the U.S. regional Giant Co-Factory Off-Road Team, raced a prototype version of the Revolt Advanced 0 at the Dirty Kanza 200, a grueling 206-mile gravel race in Kansas. @PinnedGrit photo. The new Revolt utilizes the Giant D-Fuse Seatpost, whos shape and composite design result in up to 12mm of “travel” for a smoother ride quality. The Revolt Advanced features the new Contact XR D-Fuse handlebar, which uses similar D-shaped tubing as the D-Fuse seat post. Compared to the Contact SL round handlebar, tests show the D-Fuse bar has 10 percent more “pushing” or downward compliance and 20 percent more “pulling” or upward stiffness. As a result, it absorbs more shocks and vibrations while also increasing stiffness for sprinting or out-of-the-saddle climbing. The 2019 Revolt Advanced 2 in Deep Gray / Metallic Red / Silver. Availability varies by country. The handlebar also has slightly flared drops (8 degrees), which offers wider hand positioning for off-road situations without compromising on-road ergonomics and wrist comfort. The top section of the handlebar is backswept 5 degrees, a unique design that also combines off-road control with on-road comfort and efficiency. In addition to the ergo advantages of the XR D-Fuse, it is also 5 percent lighter than the round Contact SL handlebar. The 2019 Revolt Advanced 0 1 includes the Giant CXR1 composite WheelSystem and 40c CrossCut Gravel 1 tires, which are set up tubeless right out of the box for improved rolling efficiency and a reduced risk of flats. Availability varies by country. The 2019 Revolt Advanced series includes three models: Revolt Advanced 0, Revolt Advanced 1 and Revolt Advanced 2 with various specs and price points. Availability varies by country. For more information and details on each of the new models, roll over to www.giant-bicycles.com/Revolt. 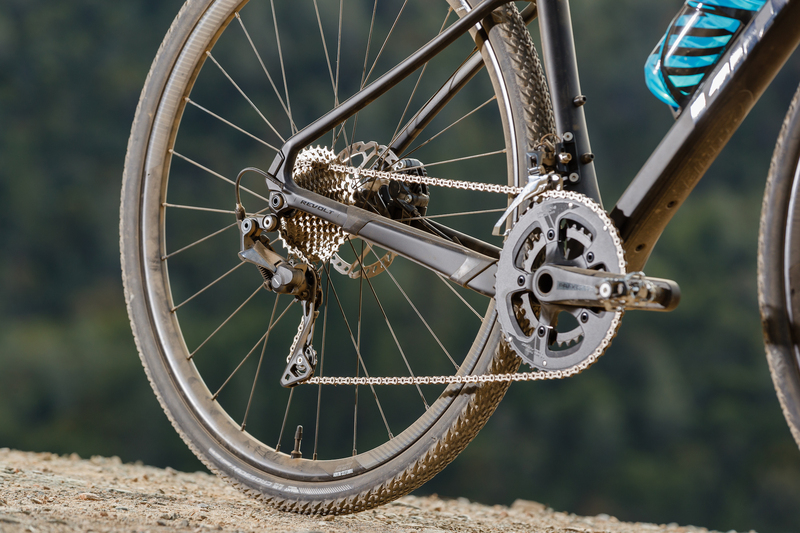 The 2019 Revolt Advanced 1 features SRAM Apex drivetrain components and hydraulic disc brakes. Availability varies by country. The 2019 Revolt Advanced 2 in Metallic Orange / Gun Metal Black. Availability varies by country. 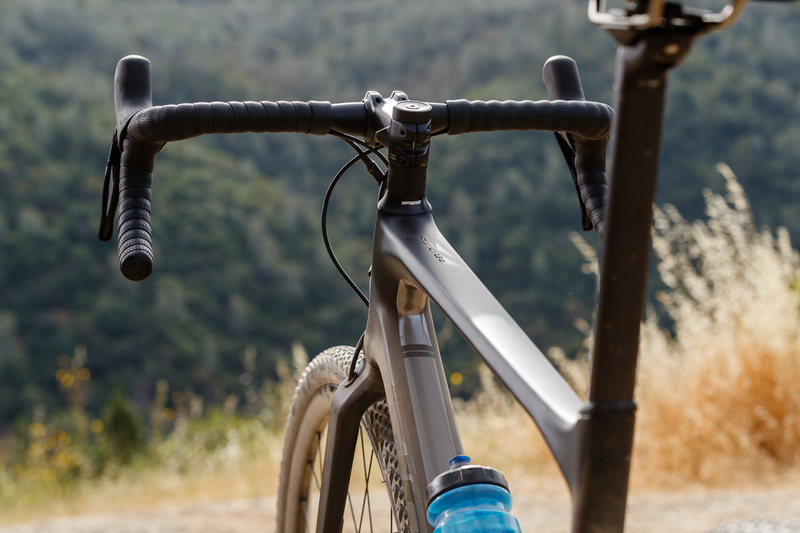 The new Revolt Advanced frameset features shorter chainstays and a slightly lower bottom bracket, which gives it an agile yet stable ride quality for rough roads and dirt. Jake Orness photo. I really want to see a review from someone who uses this style of bike as their single bike quiver. Would it do Sunday bunch road rides, cross racing and the intended gravel riding? I have a 2015 version that I’ve done numerous group and century rides on and I find it quite comfortable on gravel roads as well. The only riding I don’t do on it is commuting as I prefer a flat bar when riding through city traffic. I don’t ride cross, so I cannot speak to that, but I would suspect the longer wheelbase may not be advantageous in that application. However, I find it a positive on gravel roads and fire trails.